My kids fell in love with palmiers last year when we bought a ton of them at Costco to use in an Easter bunny salad and proceeded to eat all of them before Easter, requiring that we go back and buy another package. They remind me of the 'cookies' we used to make with leftover pie crust when baking with my grandmother. Dorothy found a cute way to dress them up for St. Patrick's Day by making rainbow palmiers. I have been wanting to try a recipe for them and a rainbow recipe seems as good as any! 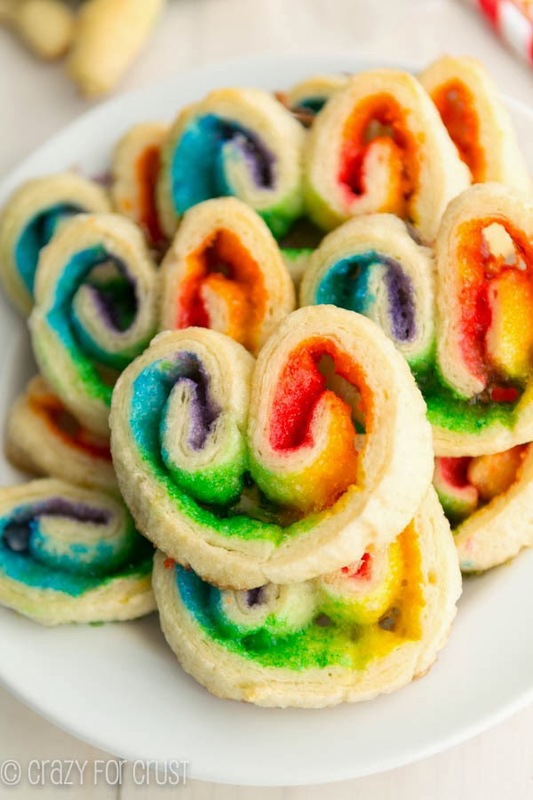 You can get the rainbow palmier recipe over at Crazy for Crust.